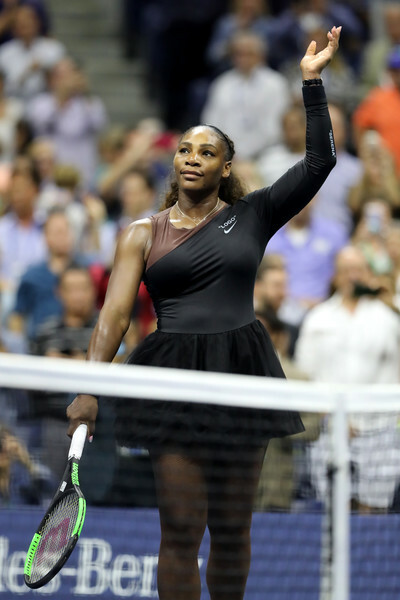 Serena Williams looked outrageously impressive under the lights of the Arthur Ashe Stadium as she defeated sister Venus Williams 6-1, 6-2 after a little more than an hour. Competitors on the court, sisters off the court. 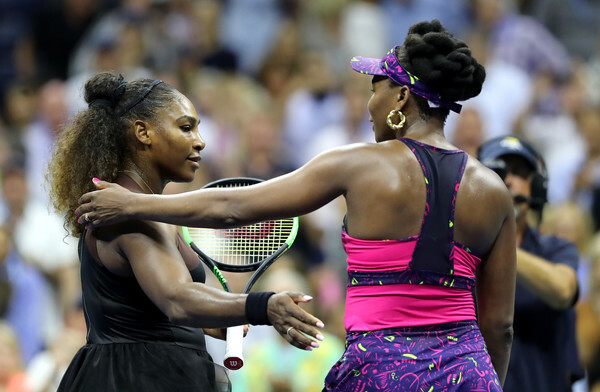 Serena Williams and Venus Williams are two of the sport’s greatest legends of all time, and they met in a blockbuster third-round match at the 2018 US Open for their 30th meeting in their careers. In what was their most lopsided encounter ever, alongside their meeting in Charleston in 2013, Serena prevailed over her elder sister with a commanding 6-1, 6-2 scoreline after just an hour and 11-minutes of play. “This was the best match since I’ve returned,” Serena mentioned in her post-match interview. Certainly, it was a destructive performance from the 23-time Major champion as she blasted 33 winners to just 22 unforced errors while conceding just four points behind her first serves, firing 10 aces in the process. Serena, making her record-breaking 13th consecutive second-week appearance at the US Open, will face defending quarterfinalist and the hard-hitting Kaia Kanepi. With this display, the American is definitely one of the huge favourites to hoist the trophy at the end of the fortnight. Serena came out of the blocks firing and she was striking the ball extremely clean, firing two winners in the process to hold serve in the opening game. The biggest tennis stadium in tennis, Arthur Ashe Stadium, was completely filled for this historic 30th encounter between the Williams sisters, but despite the electrifying atmosphere, nerves did not seem to be a factor for both players. For the first time in quite a while, Venus also had a pretty decent start to the match, in contrast to her typical cold starts in the past. Serena earned break point opportunities immediately in the second game, but Venus did extremely well to survive the incoming onslaught and survived the tricky service game to get onto the scoreboard. There was a major scare when Serena rolled her ankle during one of the points and requested to see the trainer, but fortunately, after all the hustle, the 23-time Major champion seems to be unhampered by the ankle roll. Serving at 1-2 30-15, Venus had not committed any unforced errors but a costly drive volley forehand error paved the way for Serena to break serve, which she dutifully did. Errors started to flow more frequently from Venus’ game as she failed to maintain the high quality of play while Serena was reading her shots better, maintaining more consistency at the baseline. 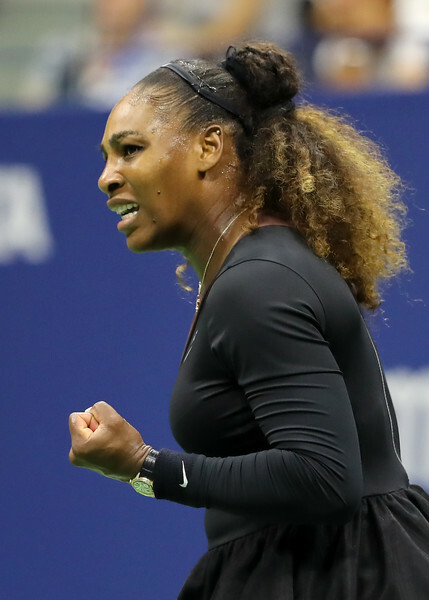 Within a blink of an eye, everything was going right for Serena and she consolidated the break with an ace for a commanding 4-1 lead after just 22 minutes of play. 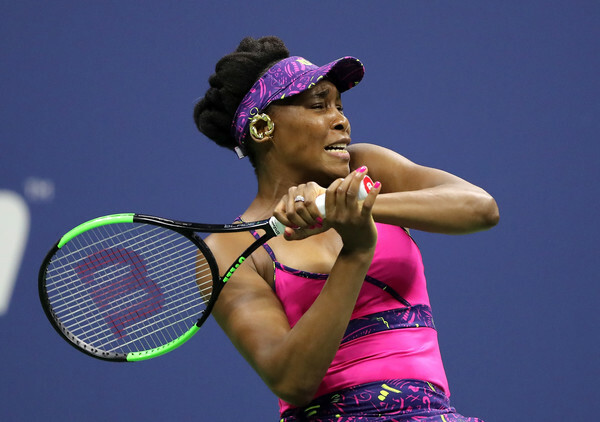 In what was the longest game of the first set, Venus owned four game points but just could not convert one as her untimely errors proved costly, allowing Serena to grab yet another break with a forehand winner. Serving for the set, Serena rattled off four consecutive winners to grab the first set 6-1, blasting 15 winners along the way. Riding on her momentum, it was Serena who continued strolling through the highly-anticipated encounter as Venus could not find her groove and was too erratic to put up a tough fight. Producing a slew of unforced errors, the 38-year-old was broken in the opening game of the second set. 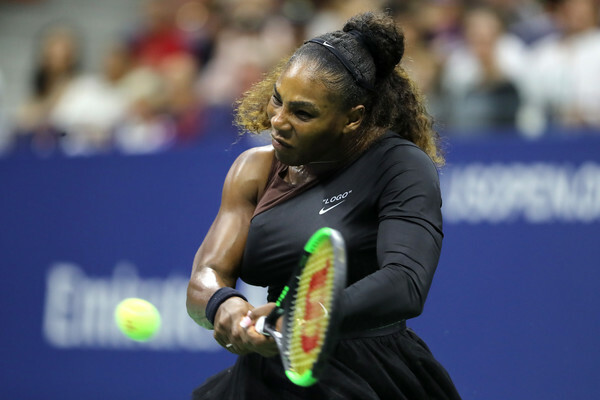 Serena found herself in trouble for the first time in the match, conceding a break point as she may have relaxed a little after leading by a set and a break. Nonetheless, her killer instinct came when it mattered as she ultimately powered herself to a 2-0 lead, winning her seventh straight game. Saving two break points, Venus finally managed to stop the rout before claiming the confidence-boosting service hold with a big forehand winner, lessening the deficit in the second set. There is nothing an opponent could do when Serena is firing on all cylinders, and her service games were simply untouchable as Venus could not read her sister’s unpredictable service placements and unable to find the rhythm. Two return winners then saw Serena viciously going for Venus’ second serves and jumped out to a quick 4-1 lead and a double-break advantage in the second set. Many expected this to be a close encounter but Serena seemed to be in a rush, losing just two games in the opening hour. Venus strung together a series of better returns but they were still not good enough as Serena stormed to consolidate the break, opening a 6-1, 5-1 lead and being just a game away from grabbing the huge win. Serving to stay in the match, Venus finally managed to get onto the scoreboard once more after what seemed like an eternity, serving a powerful 116 mph ace to earn the consolation game. It was a well-placed ace from Serena, her ninth of the night, which allowed her to earn a match point. However, a double-fault ruined her rhythm and the tensions in the air were relatively evident. Nonetheless, Serena earned her second opportunity to close out the match in similar fashion, before finally closing out the match with a clean forehand winner.